Dot is blessed to have children in the neighbourhood to play with. She has a special affinity with nine-year-old Joey. Though the age gap is like six year apart, Joey is a big sister to Dot and they can play for hours together. During the June holiday, I brought Joey and Dot to Art Garden at 8Q. 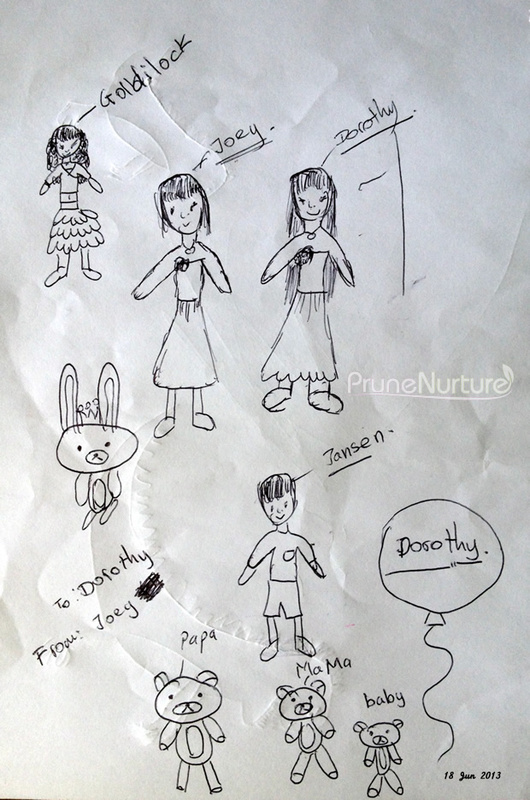 On our journey home, Joey drew this beautiful piece of artwork for Dot – such precious memory keepsake!